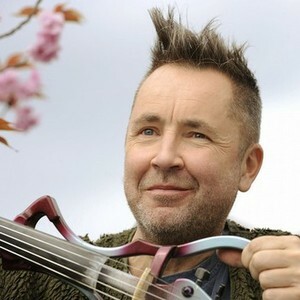 Nigel Kennedy (born December 28, 1956 in Brighton, England) is a violinist and violist. He was a pupil at the Yehudi Menuhin School, under Yehudi Menuhin himself, and later at the Juilliard School under Dorothy DeLay. Kennedy has done much a to popularise classical music, particularly among young people. He has also performed and recorded most of the major violin concerti. Kennedy expresses concern for the immediate appeal of live performance, and often records entire works or movements in single 'takes' to preserve this sense in his recordings. Kennedy has done much a to popularise classical music, particularly among young people. He has also performed and recorded most of the major violin concerti. Kennedy expresses concern for the immediate appeal of live performance, and often records entire works or movements in single 'takes' to preserve this sense in his recordings. He also introduces improvisatory elements in his performances, as in his Jimi Hendrix-inspired cadenza to the Ludwig van Beethoven violin concerto and his jazz and fusion recordings. Away from his musical career, Kennedy is a supporter of football clubs Aston Villa and Cracovia. Recently he has appeared on Cracovia's 100th anniversary in club replica kit.